This month, the natural grazing area in Lika Plains in Croatia got another boost with the arrival of a herd of Tauros originating from The Netherlands. The 11 new animals joined the existing herd in the scenic grassy plains at the foothills of Velebit Mountains. The natural grazing area in Lika Plains recently expanded and is now covering 800 hectares. Large herbivores grazing in Lika Plains are already adapted to the harsh weather conditions of Velebit Mountains. Through natural grazing, large herbivores create dynamic mosaic landscapes, a key natural process that results in a variety of habitats and species diversity. The natural grazing pilot in Lika Plains, a Natura 2000 site, started in 2014 with the first animals arriving. 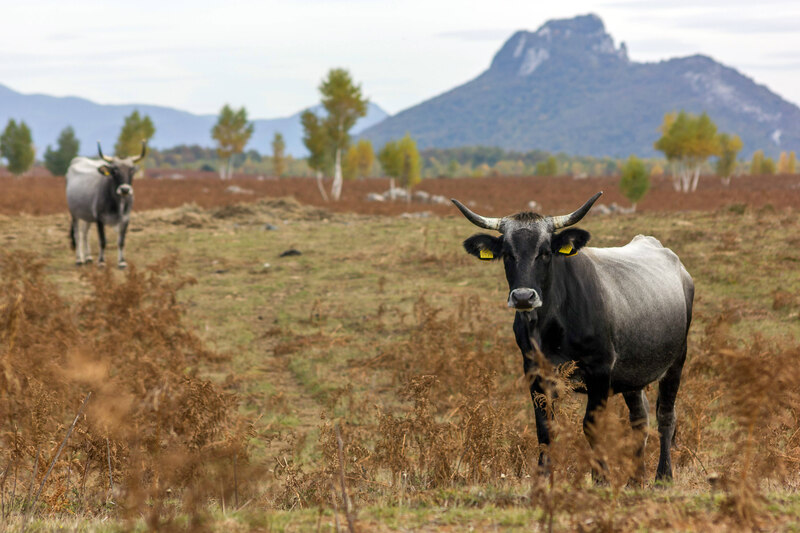 Rewilding Europe is working with Rewilding Velebit to bring these herbivores back to their natural habitats. Lika Plains, where semi-wild horses and Tauros are now grazing side by side, is one of the most spectacular locations of the Tauros breeding programme. Land abandonment in Lika Plains has allowed shrubs, young trees and bracken to take over from the open, grassy habitats that once covered these plains. After less than two years of natural grazing this situation is now changing: there is already more variety and structure in the grasslands and the first signs of dynamic mosaic habitats are visible. With the comeback of wild-living herbivores also the food chain is being restored, supporting hundreds of other species that live off them – among these are wolves, bears and lynxes that still live in the area. Predation on the large herbivores in Lika Plains is already happening, in particular by wolves. The Tauros herd arrived early morning to their new home in Lika plains, Croatia. The new herd mainly consists of animals with an Italian Maremmana background and comes from a Tauros breeding area in The Netherlands, and is now part of the European Wildlife Bank. This is the third enlargement of the herd in Velebit this year. 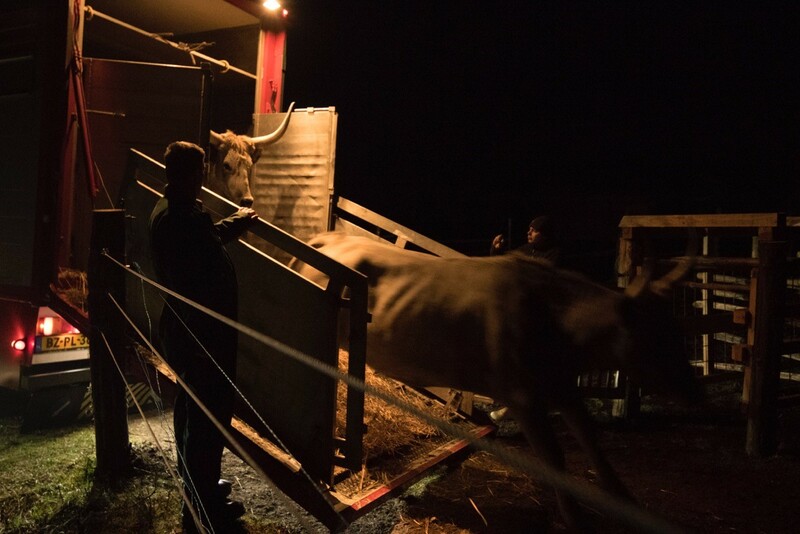 In January, 45 Konik horses arrived from Latvia and 20 Tauros from Netherlands joined in June. The number of grazing animals in the Lika Plains grazing pilots, has now grown to c. 70 horses and c. 80 Tauros through both reproduction and new releases. — „In Lika Plains, the animals live in social herds without direct human management and are exposed to harsh natural conditions and predation, steadily moving towards becoming self-sufficient. Natural grazing in Lika plains is heading into a very positive direction – there is a visible change in grasslands and in predation, which is now shaping the behaviour of large herbivores” – explained Davor Krmpotić, Team Leader of the Rewilding Velebit team. For Rewilding Europe, Lika Plains is one of the hotspots to show how the comeback of natural processes can shape the conditions for creating novel, wild and natural landscapes. A portion of this vast grazing site is visible from the highway connecting Zagreb with the southern coast. The presence of large herbivores and wild animals already attracts nature lovers, wildlife watchers and other tourists, resulting in a nice synergy of ecological, business and tourism interests.